The historic Times Group of India transcended to online platform and saw a whole new rise in the late 90’s. In the times when media barely could put up with an idea of virtual presence, Times proved otherwise.Times Internet, the web-based service of a long time leader of the print business industry, The Times Group, has achieved the same level of success, but at a faster rate. This online service was launched in 1999 and has since then grown into the largest network across the Indian Internet. 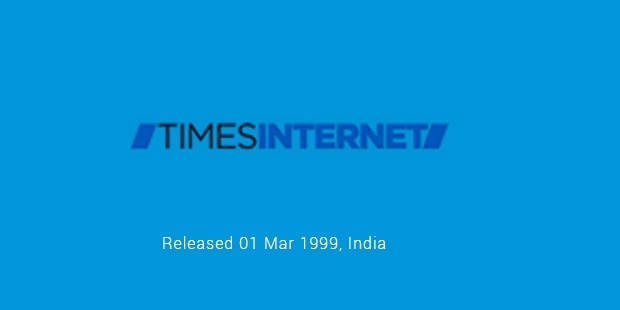 The Times of India Group established it as its digital venture, comprising of some of the largest websites such as Maharashtra Times, Navbharat Times, The Economic Times and The Times of India.Times Internet began its journey with a single online product economictimes.com. This was done to direct The Economic Times’ content to online readers of business news.After achieving success with its first project, the flagship online portal named India times was launched. With this launch, the firm expanded its online operations in other segments, including updates from The Times of India and sub channels like chat, movies and InfoTech divisions. The rise of telecom sector services started posing threat to its business, which persuaded more expansion in the telecom space. The company launched the 1st short code – 8888 (later changed to 5888) along with voice service.A plethora of services were offered across different telecom operators, like live updates for sports, entertainment and news. In the same year, the flagship India times was started conducting auction business of consumer as well as white goods online, initially by way of inviting customers. It was in 2005 when their efforts started offering lucrative results, raising Times Internet to top spot of online retailers list. Followed by a huge success in these fields, the firm expanded further into other sectors, multimedia marketing, lifestyle and food. As of now, the success of Times Internet is on the rising trend. What started as a simple online startup led the internet revolution in India. Being the largest network offering digital services in India, it is reported to attract over 30 million unique visitors every month, with above1 billion page views. After a tremendous journey of more than 15 years, Times Internet is now offering its services in more than 30 properties across multiple domains. The success rate can be measured from its operations in the last year, comprising of 13 global partnerships, 6 acquisitions and 4 minority investments.Furthermore, it has also launched and established an accelerator program, TLabs, which is aimed at offering the necessary guidance and mentoring to the startups in India, helping them growin the right direction.Along with other achievements, the group has made more than 20 investments into startups based in the ecosystem of the nation through this program. 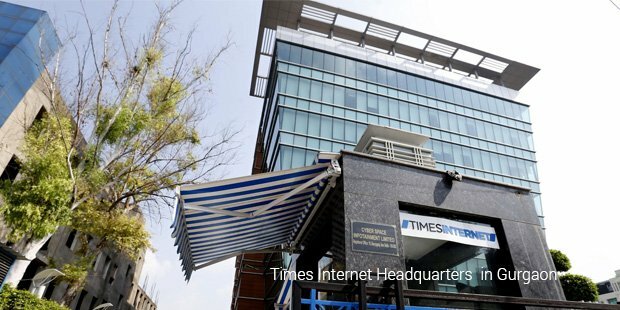 Another initiative launched by The Times Group with Times Internet was the Times Global Partner, which was aimed at partnering with global companies. With this program, the firm worked in partnerships with emerging and established digital companies at a global level in order to push their business and presence in the country.Thus, the web-based service has grown from a significant startup into a prominent group, which not only led the online revolution, but also become a base for other startups to grow.